Rebuilt Photostudio. High ceilings, urban backyard flair, secluded. 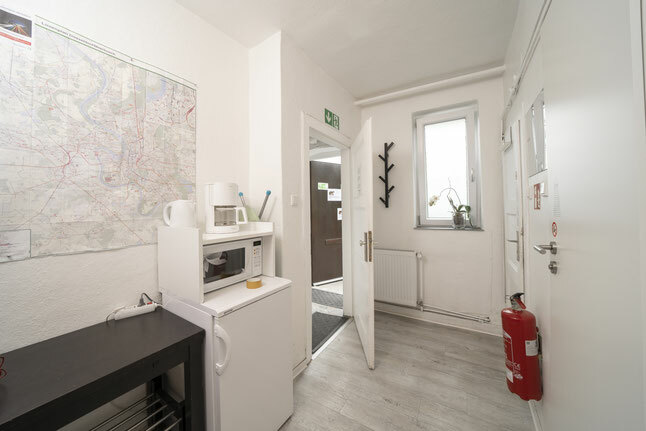 Situated in Stockum district - very close to the trade fair (only 5-minute walk to the entrance "Messe Ost"), tram/tube and busstop as well as taxi stand directly in front of the gate, fast connections to all directions (trade fair, main station, Altstadt, airport). Shopping facilities in close range: super market, bakery and butcher's with a small offer of dishes of the day, jeweller, bank, ice cream parlour, tailor's shop, kiosk with international newspapers, different restaurants as well as one of the most famous "Currywurst" huts of Düsseldorf just around the corner. 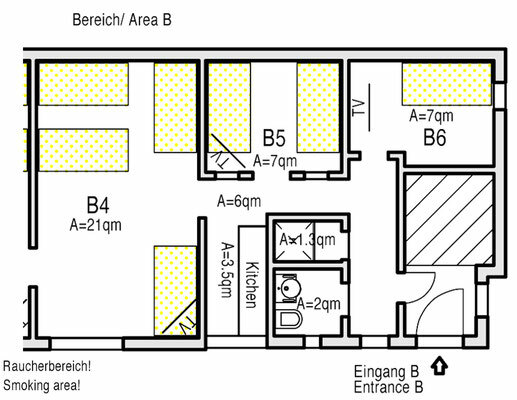 All rooms have big flat-screen TVs on the wall (TV via satellite). Each kitchen is fully equipped with dishwasher, stover, baking oven, cooking utensils and big refridgerators. A flatiron, ironing board and a hairdryer are available, too. There is a padded and therefore noise-protected, lockable connection door between both areas. When you have questions, we help you with words and deeds. Restaurants, bakery, pharmacy, super market in the range of a 5-minute walk. 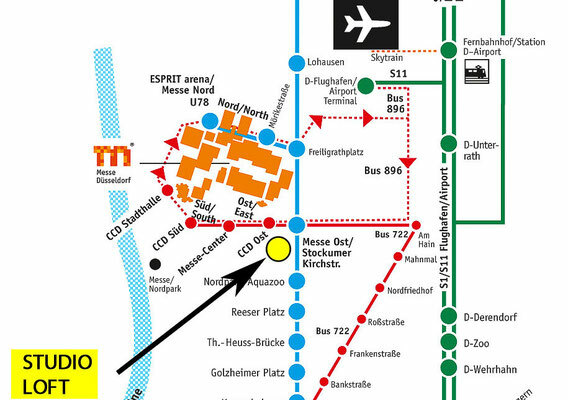 Aquazoo and Nordpark invite you to a pleasant walk to the Rhine, through the park or to the marina. 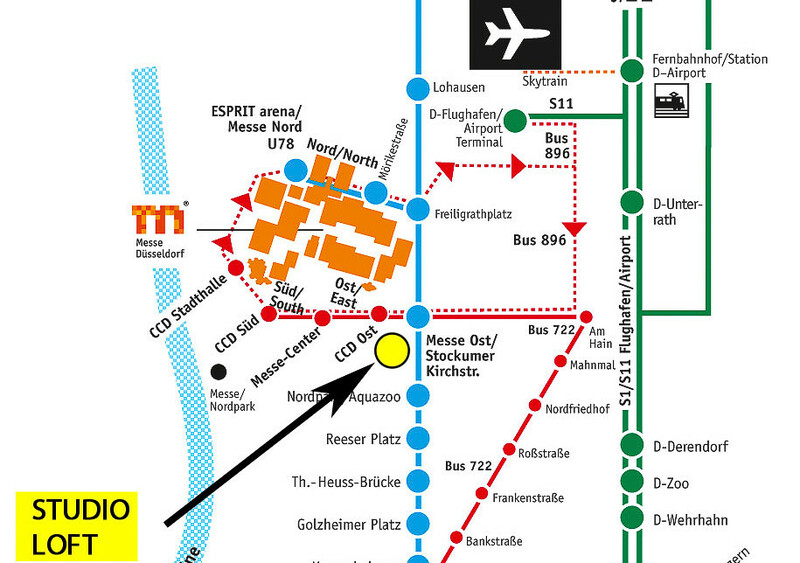 Directly located at the tram/tube stop "MESSE OST / Stockumer Kirchstr." Free parking in the front yard. 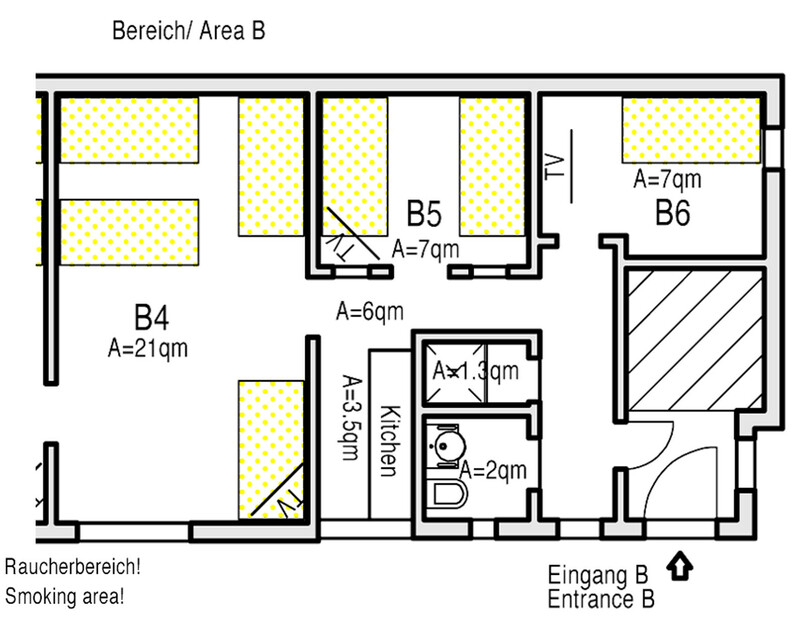 We price a short-rental surcharge of 75 € for a one-night stay. No music in the outdoor area out of respect for your neighbors! Smoking is only permitted in the outdoor area. Please keep all entrance doors closed and locked. Contact preferably via mobile phone!